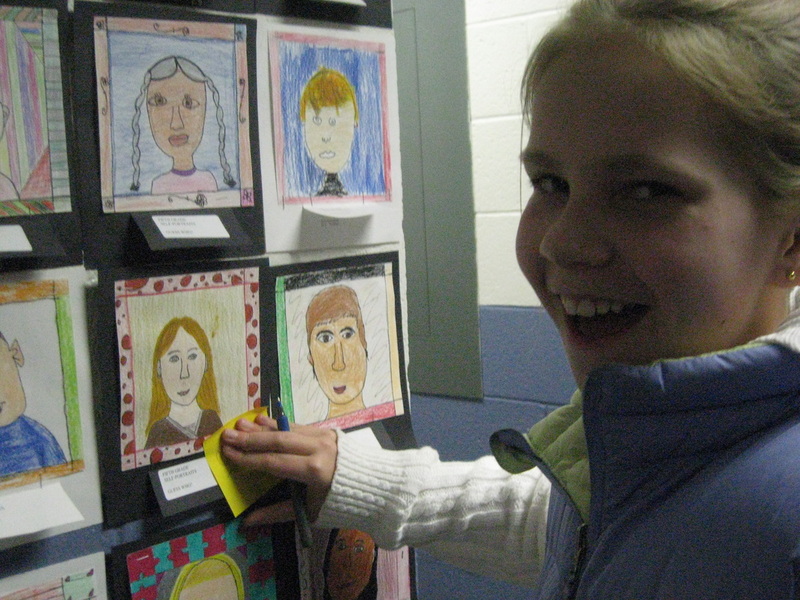 In this drawing project, Fifth graders were challenged to portray themselves as accurately as possible. 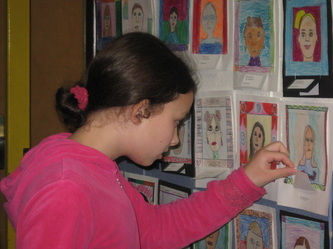 The students first learned about the proportions of the face. They then set to work with pencils and mirrors. They were asked to tell about themselves through their clothing, backdrops, and frames. The pictures give a viewer unique insight into these amazing young artists. You get a taste of what the artist enjoys in his or her life. In addition, these portraits offer a glimpse of how the child sees him or herself.